How's your summer wardrobe looking? Pretty bland? Then you've come to the right place. This season is all about bright, bold hues, from the much-talked-about Gen Z Yellow (sorry, Millennial Pink) to a slightly more polarizing but nonetheless buzzy color trend: lime green. 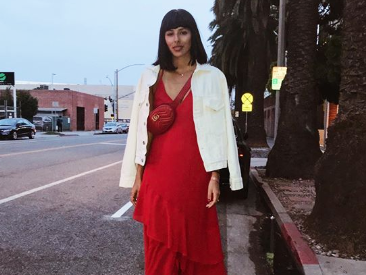 And now, the latest shade gaining traction (or, well, it's been "hot" for a while now) is anything and everything red, from crimson shoes to today's focus: the prettiest red summer dresses you're going to want wear nonstop. While rocking the fiery hue can be slightly more intimidating than wearing a more neutral one, everyone needs at least one red item in their closets. Why? Because it's fun, bold, and eye-catching and, to be quite frank, is an instant confidence booster—so really, what's not to love? Now, are you convinced your wardrobe is in need of some new crimson pieces? 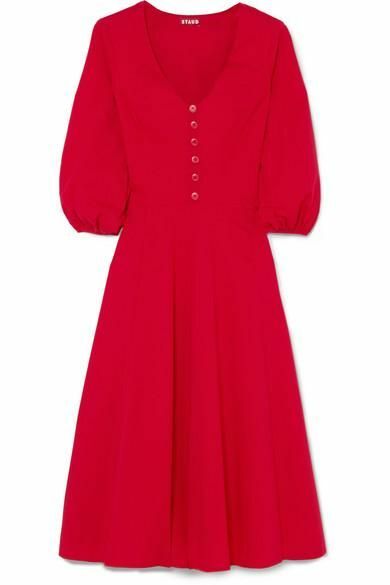 Read on to shop the best red summer dresses to wear everywhere—compliments guaranteed. Available in Italian sizes 36 to 46. Available in sizes 14 to 20. Available in Danish sizes 34 to 42. Available in sizes 24 to 26. Available in Italian sizes 42 to 44. Next up, shop some of our favorite summer sandals to wear with your pretty red dress.